Click here for audio description of this garden. 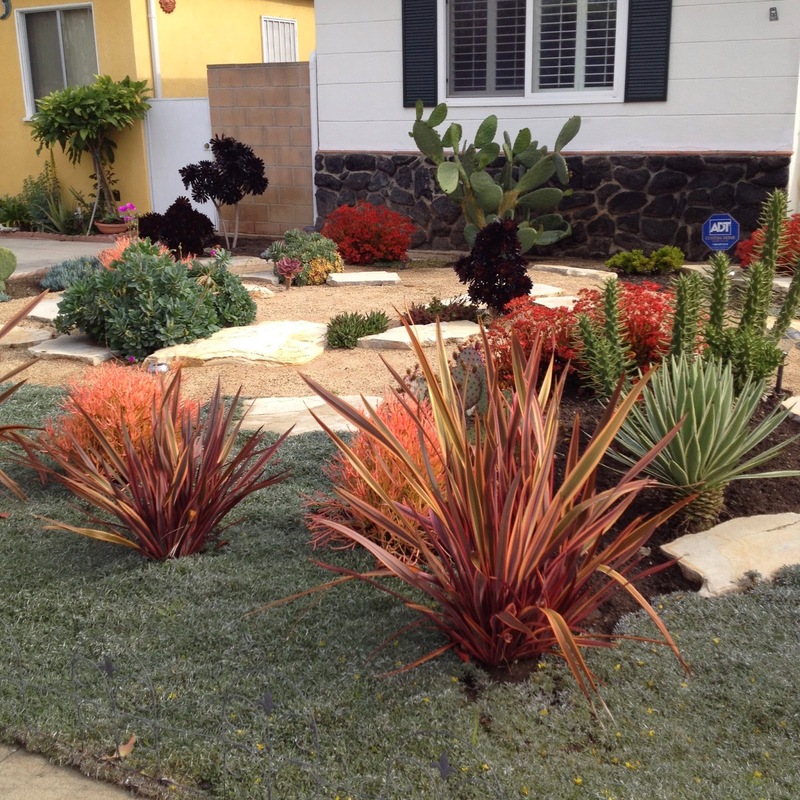 These homeowners adore their garden. They inspired to create it because they wanted to be more energy savvy and water conservative. They had talked about taking up the grass and flowers and creating a succulent garden. Then they had a plumbing problem: a burst pipe that originated from the street to the front door. All things happen for reason.It was time to make the leap. They had the grand fortune of knowing a Master Gardener who lived up the street. They admired her garden. They conceived their project in late April of 2012 and completed it early August of 2012. They loved being a part of the planning and planting of the garden. They had the opportunity to participate in the design, selection of plants. 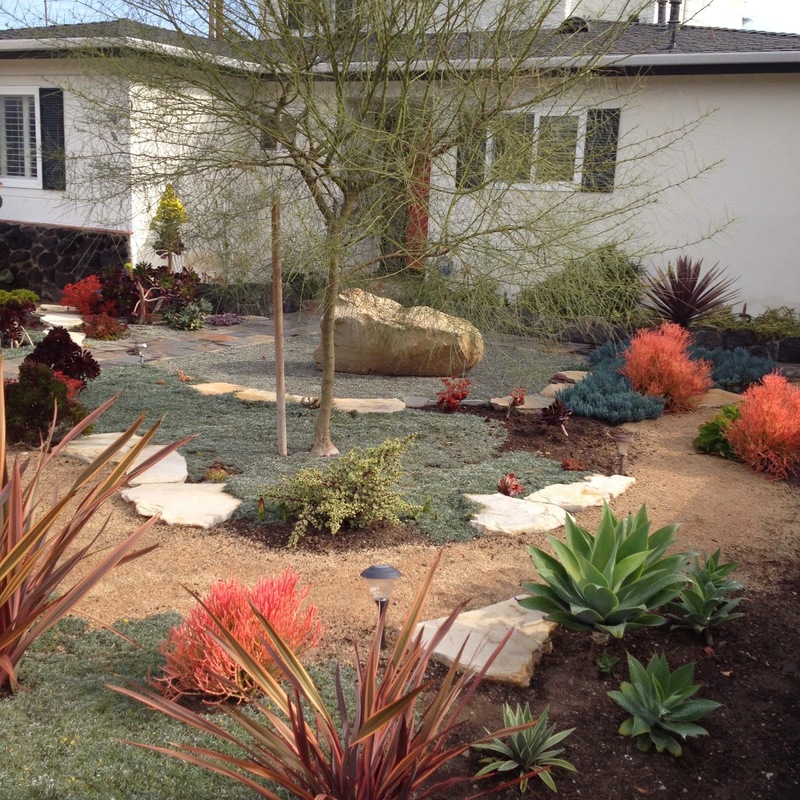 Not knowing much about succulents, they were able to articulate their vision to Julie Strnad. One owner says, "I love my garden! It offers me peace. My garden speaks volumes to who I am; colorful, decisive, focused and approachable. I love the color red and needed to see it spotted throughout the garden." It was very important to balance the front yard garden with the backyard garden with one exception: there would be no fence or brick walls. However they wanted to plant something around the front border of the yard that would eventually have the semblance of a wall. They knew they wanted a focal point. It ended up being the large bolder on the south side. 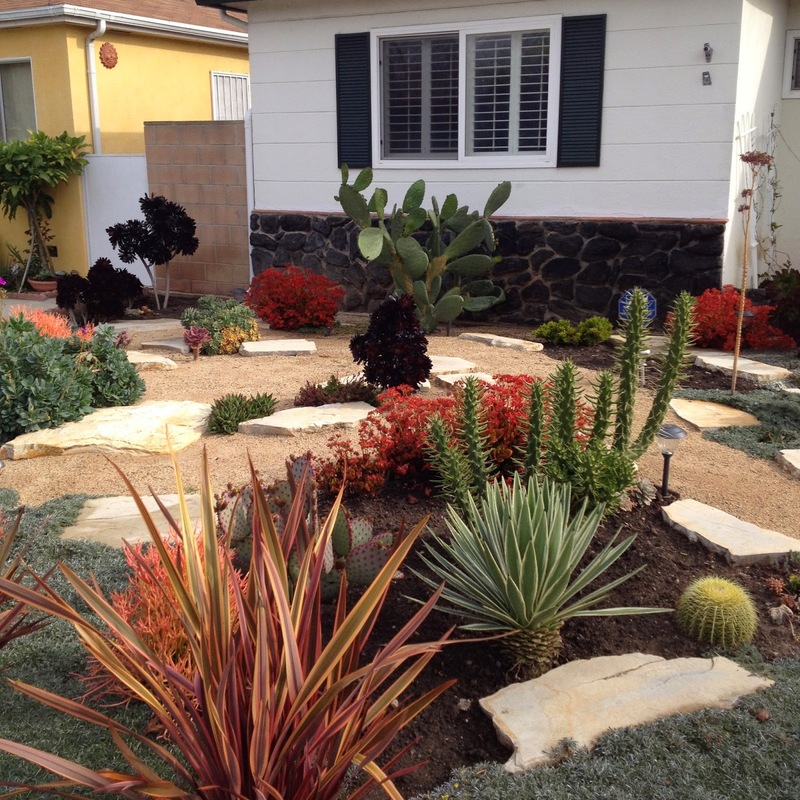 They now note many bees and wasps buzzing around and pollenating blooms from the cacti and succulents. Butterflies enjoy time in the garden as well. The crows (they think they are crows) visit the yard much less now. The garden is easily maintained. 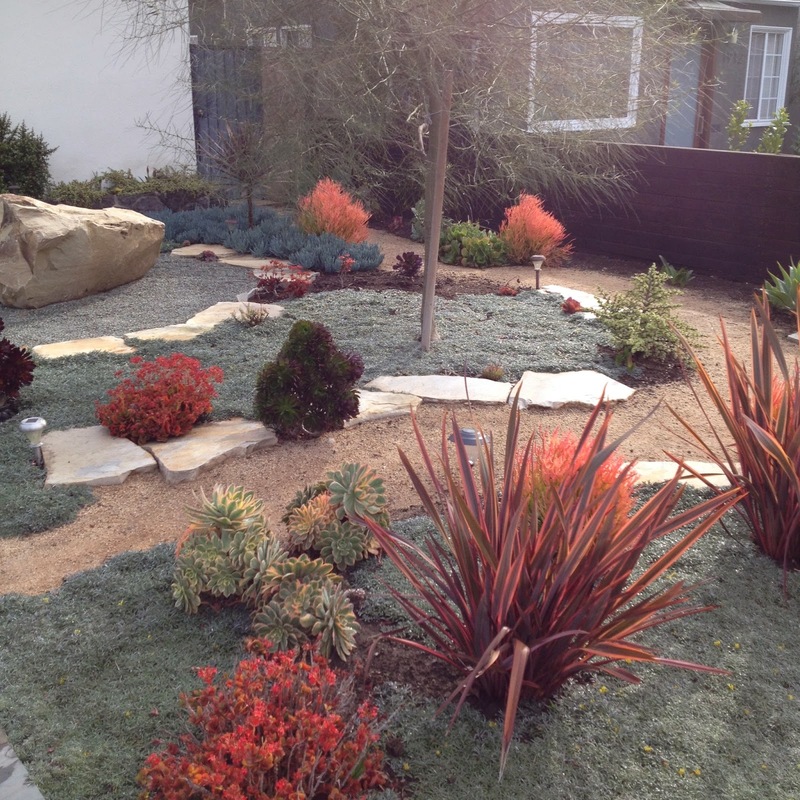 It's on a timed sprinkler system, watered two times a week for 2 minutes each watering. Master Gardener, Julie Strnad will be on hand to assist in answering questions as needed.